Home › Special Edition: "716 Fresh"
Available EXCLUSIVELY ONLINE through April 1st, then it's gone! Unless otherwise noted, printed on 100% ringspun cotton. (That means it's soft!) 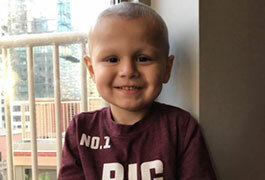 8% from every sale will be donated to Bentley Hayden. 1) He wants a small black puppy (favorite is a Frenchie because of the YouTube show Blippi). So, we are raising funds so Bentley’s parents can get him a dog and take a trip to somewhere warm on a beach. Please consider a shirt purchase or donation to his online fundraiser.